ABC Family announced the series pick-up of two half-hour comedy series Mystery Girls, starring and executive produced by Tori Spelling and Jennie Garth, and Young & Hungry, starring Emily Osment, from executive producer Ashley Tisdale. Production will commence on both series in Los Angeles in early 2014, and both will premiere later in 2014. Both comedies are multi-camera sitcoms and will join ABC Family's hit multi-cam sitcoms Melissa & Joey and Baby Daddy. Mystery Girls, starring Tori Spelling and Jennie Garth follows two former detective TV show starlets brought back together by a real-life mystery. 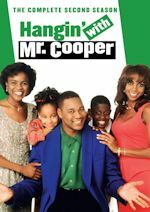 Charlie Contour (Garth) is a suburban housewife and mother, while Holly Hamilton (Spelling) longs for her glory days in the '90s when she was on television. Both of their lives are disrupted when Nick (Miguel Pinzon), a witness to a crime and a 'Mystery Girls' fanatic, will only speak to the infamous duo, and the former friends must reunite and put their TV crime-solving skills to the test. 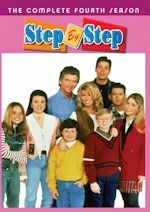 Tori Spelling (Beverly Hills, 90210, Tori & Dean: Inn Love), Jennie Garth (Beverly Hills, 90210, What I Like About You) and newcomer Miguel Pinzon (A New York Love Story) star in the series. Tori Spelling, Jennie Garth and Maggie Malina (Single Ladies) will serve as executive producers. The story is by Tori Spelling and Shepard Boucher (Men at Work). The pilot was written by Shepard Boucher. In Young & Hungry, two worlds collide when Josh (Jonathan Sadowski), a wealthy young tech entrepreneur, meets Gabi (Emily Osment), a feisty young food blogger, looking to be his personal chef. Gabi is desperate for the job and must prove herself, mostly to Josh's aide (Rex Lee), who prefers a famous chef for the job. When Josh enlists Gabi to prepare a romantic meal for him and his girlfriend, the dinner goes awry and Gabi finds herself in a very awkward position. 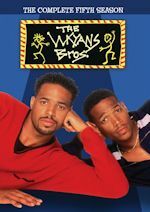 With the help of her best friend Sofia (Aimee Carrero) and Josh's housekeeper (Kym Whitley), Gabi turns a difficult situation into an opportunity for employment and maybe even love. Young & Hungry stars Emily Osment (Hannah Montana), Jonathan Sadowski ($#*! 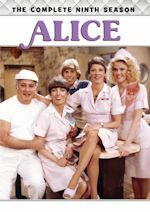 My Dad Says), Rex Lee (Entourage, Suburgatory), Aimee Carrero (Blue Lagoon: The Awakening) and Kym Whitley (Animal Practice) with Annie Potts (GCB, Designing Women) as a recurring guest star. The series is executive produced by Eric Tannenbaum and Kim Tannenbaum (Two and a Half Men), CBS Television Studios, Relativity Television, Jessica Rhoades and Ashley Tisdale (High School Musical). The pilot was written by David Holden (Accidentally on Purpose). Gabi Moskowitz, a San Francisco based food blogger, of BrokeAssGourmet.com, contributed to the development of this project. Stay with us for premiere dates! FX Networks is teaming with Xbox One to offer an exclusive sneak peek of the pilot episode of its newest animated comedy, Chozen, through the FXNOW app beginning Monday, January 6. The 13-episode series premieres next Monday, January 13 at 10:30 PM ET/PT on FX, following all-new episodes of the critically-acclaimed comedy Archer. 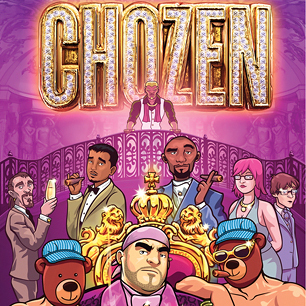 The series is an animated comedy about its title character, "Chozen," a gay white rapper fresh out of prison. Armed with a new message, Chozen is on a quest for redemption and to claim his rightful position as the world's top rap artist. His music and lyrics take aim at the stereotypes of machismo and misogyny that is synonymous with rap music. And his new world view has been shaped by his time in prison. The voice cast features Bobby Moynihan, Michael Peña, Hannibal Buress, Nick Swardson, Cliff "Method Man" Smith and Kathryn Hahn. Grant Dekernion, who created Chozen, serves as Writer/Executive Producer of the series, and Tom Brady serves as Executive Producer/Show runner. Danny McBride, Jody Hill, David Gordon Green, and Brandon James from Rough House Pictures (Eastbound & Down) are Executive Producers. Adam Reed and Matt Thompson of Floyd County Productions (Archer) are Executive Producers and their company will animate the series. The series is produced by FX Productions.